EVERETT — A Snohomish County judge called John Reed a coldblooded killer who devastated two families and dragged his own family into an extensive cover-up after he fatally shot his former neighbors in Oso, a married couple with whom he had an ongoing dispute. Weiss on Friday sentenced Reed, 55, to life in prison without the possibility of release. The sentence was mandated by state law after Reed was convicted of aggravated first-degree murder in the death of Patrick Shunn, 45. 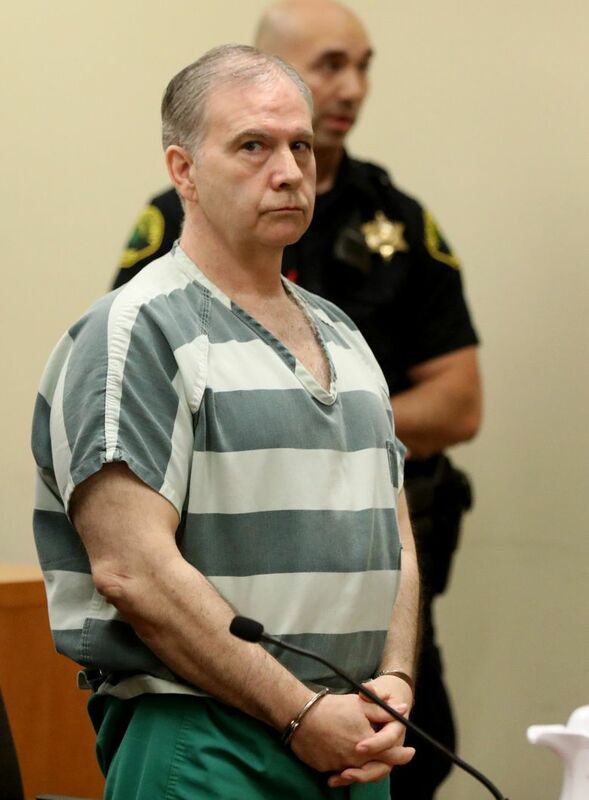 Snohomish County Prosecutor Mark Roe did not seek the death penalty against Reed, making life in prison Reed’s only possible punishment. Jurors also found Reed guilty of second-degree murder for killing Shunn’s wife, Monique Patenaude, 46, who was fatally shot on the morning of April 11, 2016. Her husband was shot once in the head later that day. Reed had been in a property dispute with the couple and was apparently angry that Patenaude had reported that Reed had been squatting on property he sold after the deadly 2014 Oso landslide that killed 43 people. Reed declined to address the court and was stone-faced through the sentencing. His parents, who face charges of aiding Reed after the murders, and his brother, who has already been convicted of rendering criminal assistance to him, sat in the gallery behind Reed. Shunn and Patenaude were remembered as adventurous soul mates who loved their families, friends, animals and the planet. Despite their differences with Reed, the couple went to check on him after mud, trees and other debris swept down a mountainside and destroyed much of their neighborhood in 2014, said Shunn’s father, Michael Shunn, who read aloud a letter written by Shunn’s brother, Eric. “Any individual in their right mind would not have committed such a heinous execution, a premeditated murder of two of the loveliest people you would ever want to know,” Patrick Shunn said. 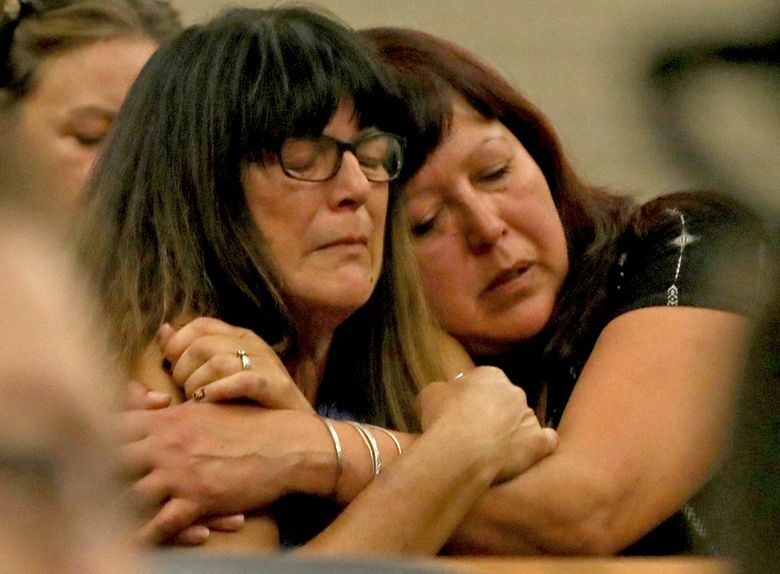 Vi Lindberg, Patenaude’s sister, remembered how her sister and brother-in-law cried after accidentally killing a mole, and how they adopted a neighbor’s abandoned cat. She also spoke of how the couple ran down the road after the Oso landslide to make sure Reed had survived. “These kindhearted, life-loving people were murdered by a person they showed care for. Monique pleaded for her life, and he still shot her again and again,” Lindberg said. During his trial, Reed claimed he shot the couple in self-defense after they confronted him at his former property. He claimed he “panicked” and enlisted his brother, Tony Reed, to help him bury the couple’s bodies in a remote area near their home and stash the couple’s two vehicles. John Reed was arrested July 15, 2016, after Mexican investigators located him in Sonora and expelled him from the country. He was taken into custody at the border by the U.S. Marshals Service and booked into jail in Arizona before he was extradited to Washington to face the murder charges. Reed had an ongoing feud with Shunn and Patenaude and threatened to shoot them after they cut brush next to his property in 2013. Sheriff’s deputies described Reed as an aggressive neighbor angered by various people after the deadly Oso landslide next to his property. After the slide, Reed voluntarily sold his property to Snohomish County for $245,700 under a flood-mitigation program, but, according to Patenaude’s complaints, continued squatting on the property. When Patenaude returned home from running errands in Arlington on April 11, 2016, Reed shot her three times. Shunn was fatally shot in the head later the same day when he returned home from work. The next day, neighbors found the couple’s livestock untended and reported Shunn and Patenaude missing. John Reed enlisted the help of his brother and parents, then fled to Mexico with his brother, Tony Reed. Tony Reed turned himself in to U.S. Marshals on May 16, 2016, and later led police to the bodies of Shunn and Patenaude. Detectives determined that on the night of the shootings, Reed drove to Ellensburg, where his parents and brother live. He stayed there for an hour and returned with Tony Reed, arriving back at the slain couple’s property around midnight. Tony Reed later told detectives he saw Patenaude’s body in her Jeep while Shunn’s body was inside his Land Rover. The brothers waited until 3 a.m. April 12, 2016, to each drive a vehicle up North Brooks Creek Road, where they buried the bodies and then dumped the Jeep and Land Rover over a steep embankment several miles from the burial site. The brothers walked back to John Reed’s former property and, over the next two days, allegedly tried to conceal and destroy evidence of the killings. They returned to Ellensburg, drove to Arizona, then crossed the border into Mexico, sparking a massive manhunt. Tony Reed, now 51, later pleaded guilty to two counts of rendering criminal assistance and was sentenced to 14 months in prison. The brothers’ parents, Clyde Reed, 83, and Faye Reed, 79, both of Ellensburg, were also charged with rendering criminal assistance. They are expected to enter guilty pleas and to be sentenced on July 19, court records show.